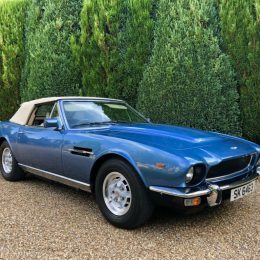 An early 1979 Aston Martin V8 Volante owned by legendary rock star and The Who front man, Roger Daltrey CBE, will be offered for public sale for the first time at the NEC Classic Motor Show Sale on 10th and 11th November at the NEC, Birmingham. Best known for the songs Baba O’Riley, Won’t get fooled again and My Generation, The Who rose to prominence in the mid 1960’s before hitting it big in 1969 with the album Tommy which went double platinum in the USA and Gold in the UK. As lead singer, Daltrey has become known as one of rock’s most charismatic frontmen, famed for his powerful voice and energetic stage presence. 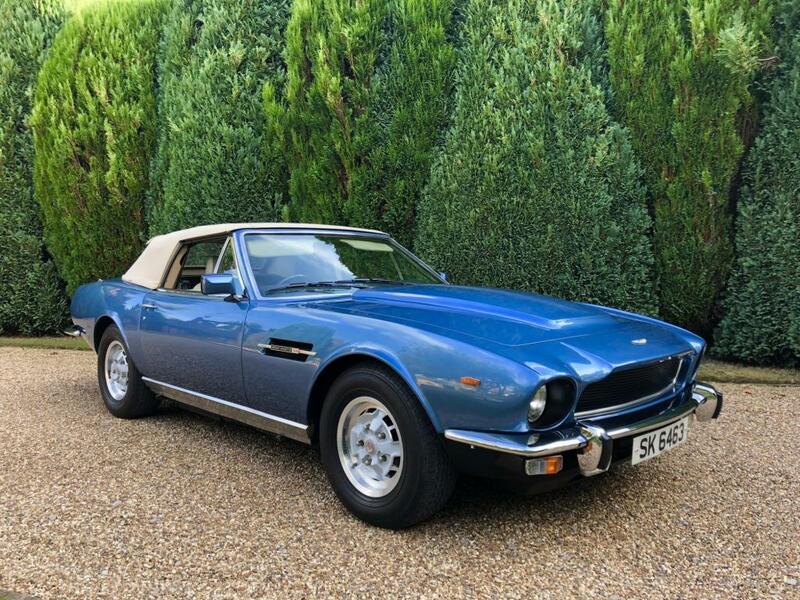 The 1979 Aston Martin V8 Volante was supplied new by HWM Aston Martin in Surrey and was bought by a Mr S. Roberts heir to famous Job’s Dairy, once the largest privately owned dairy in the UK. The car was later sold to Mr Daltrey who had already reached world-wide fame with The Who. Mr Daltrey sold the car back to its original owner who sold the car to its current owner in 2009. It will be offered at auction with an estimate of £160,000 to £185,000 wearing its original number plate of SK 6463. Powered by a 5.4 litre V8 with 320bhp, the Aston Martin is capable of a 0 to 60mph time of 7.5 Seconds. 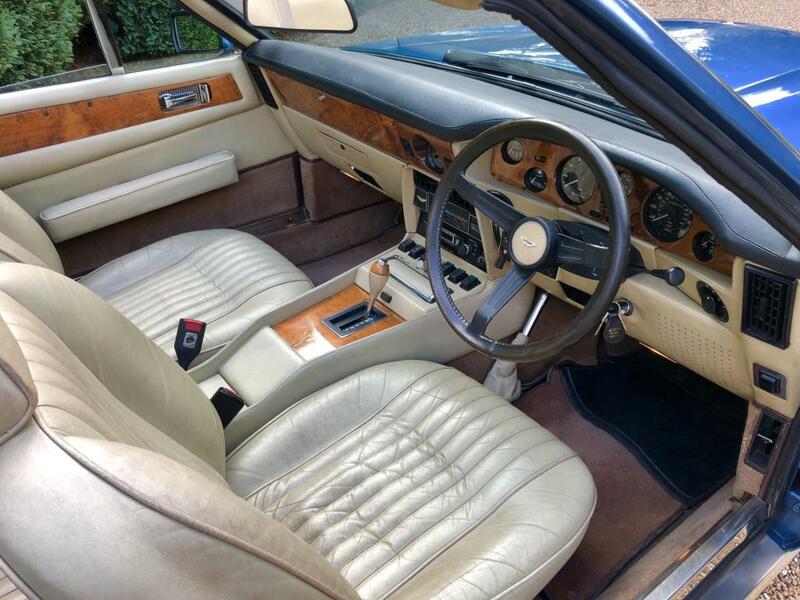 The British classic was supplied in Tourmaline Blue with a Fawn leather interior and hood. Subject to a bare metal respray in 1994, the Volante was treated to minor structural works at the same time and was also the recipient of a new hood. Covering just 3,000 miles in the 24 years since the respray, today the Aston presents wonderfully with just 66,800 miles. Recent works included attention to the brakes, a full service and engine tune. “The Who hold a special place in history as a band that defined an era of music, the Aston Martin on offer retains the same revered nature in the car world. 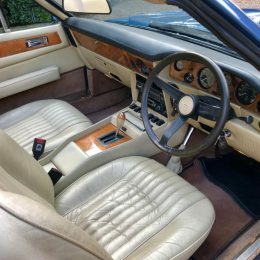 When music and motoring combine they can become irreversibly linked, Elton John and Bentley, Elvis Presley and Cadillac and of course Roger Daltrey and Aston Martin” concludes Richards.